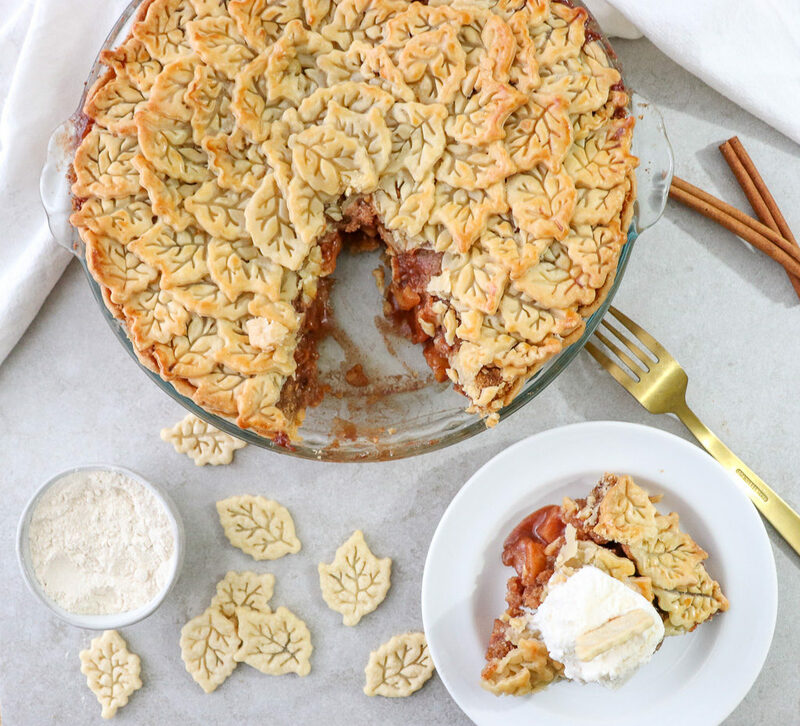 Thanksgiving week is here and this recipe is apple of my pie (I mean eye *wink wink*). 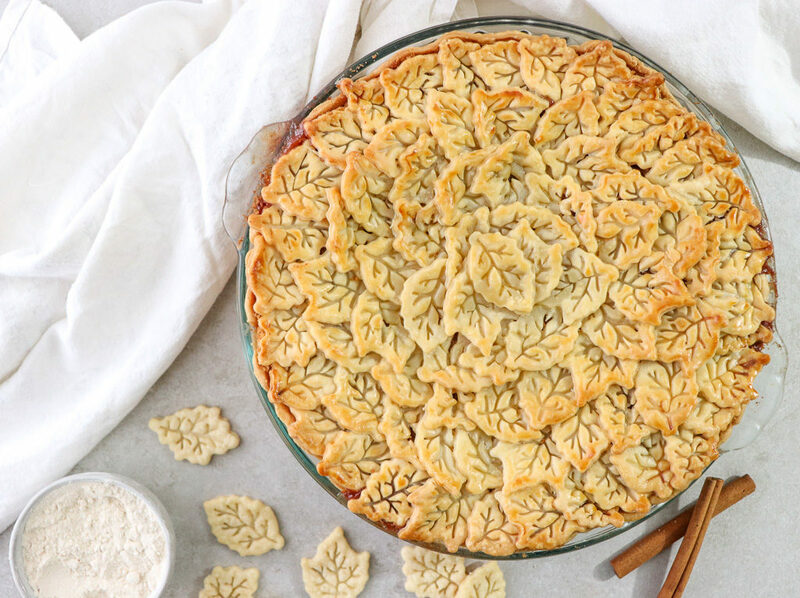 If you’re looking for something to bring to your family’s Thanksgiving feast that will knock their stretchy pants off them, then give this festive apple pie a go! It’s only the most iconic Thanksgiving dessert in the history of Thanksgiving desserts (sorry pumpkin pie). 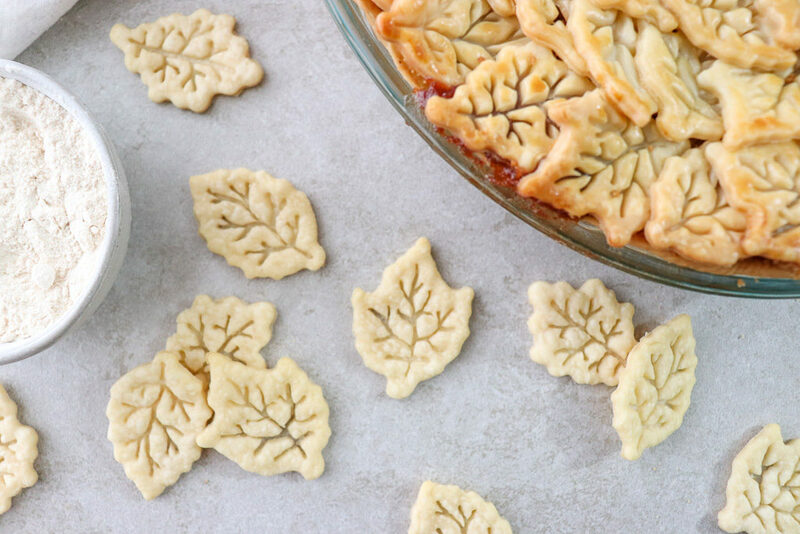 And these leaf cutouts give it a major face lift with the same delicious taste! I used fall fondant stamps, but any small cookie cutter will work for the cutouts. What sets this apple pie apart from the rest is that I use two layers on top of the apple filling. The first on unseen layer is the crumble topping. Personally this is my favorite part of apple pie and I wasn’t about to leave it out! 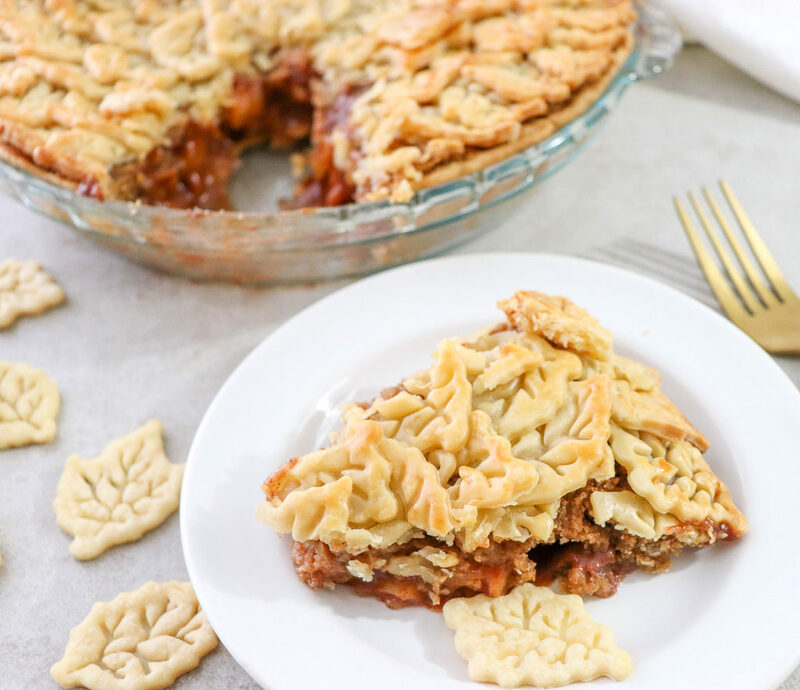 The top layer is the golden brown leaf crust which adds a perfect crunch on top of the textured crumble and gooey apple filling. 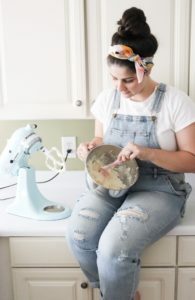 Also, If you have been visiting BWTB for a while now, you know that cinnamon is practically my middle name and I often double and sometimes even triple the amount of cinnamon I use in recipes compared to most others that are similar. I love when my taste buds are punched by cinnamon with every bite I take so I tend to amp up the measurements. 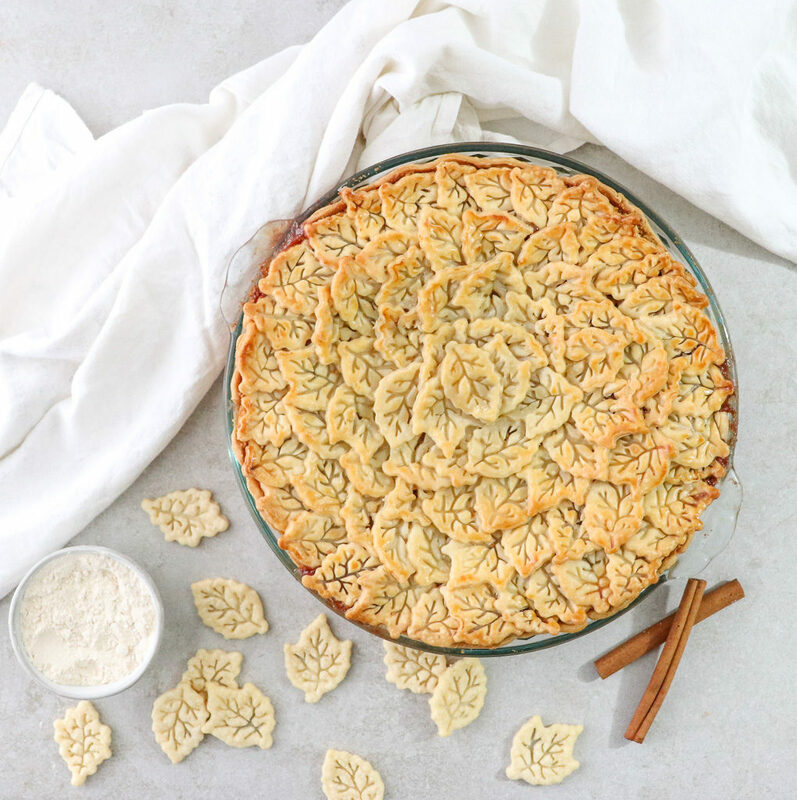 Feel free to adjust the cinnamon measurements to your liking, but if you’re like me, then follow this recipe for a cinnamon packed apple pie! 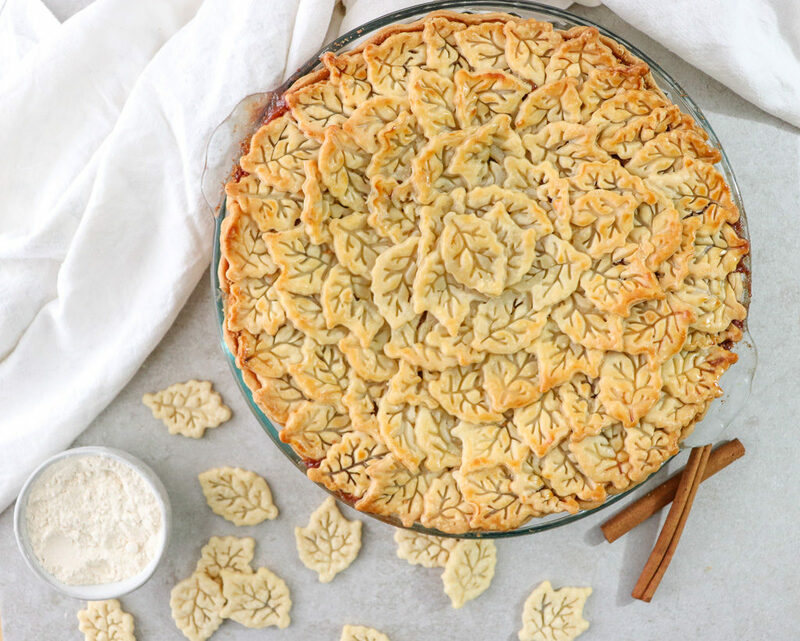 Are you ready to dive into this fun and festive apple pie recipe? Peel, core and dice apples and place into large mixing bowl (about 6 cups). 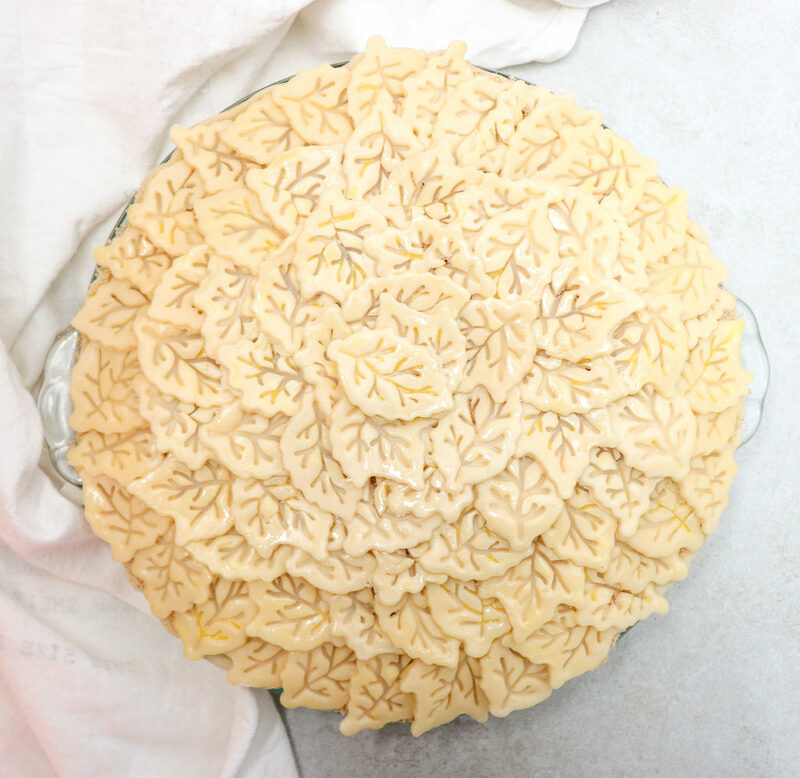 Take one roll of pie dough and place into pie pan, then set aside. Combine dry filling ingredients in a separate mixing bowl then stir into bowl with diced apples. 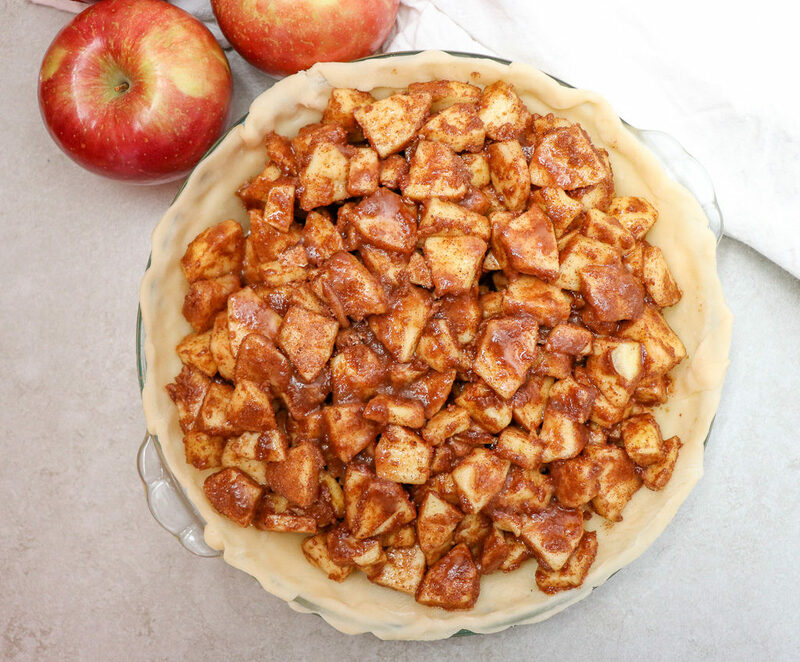 Fill pie pan with apple mixture. Drizzle melted butter over top then set pie pan aside. In another mixing bowl, combine all crumble topping ingredients with fork until it becomes sand-like. 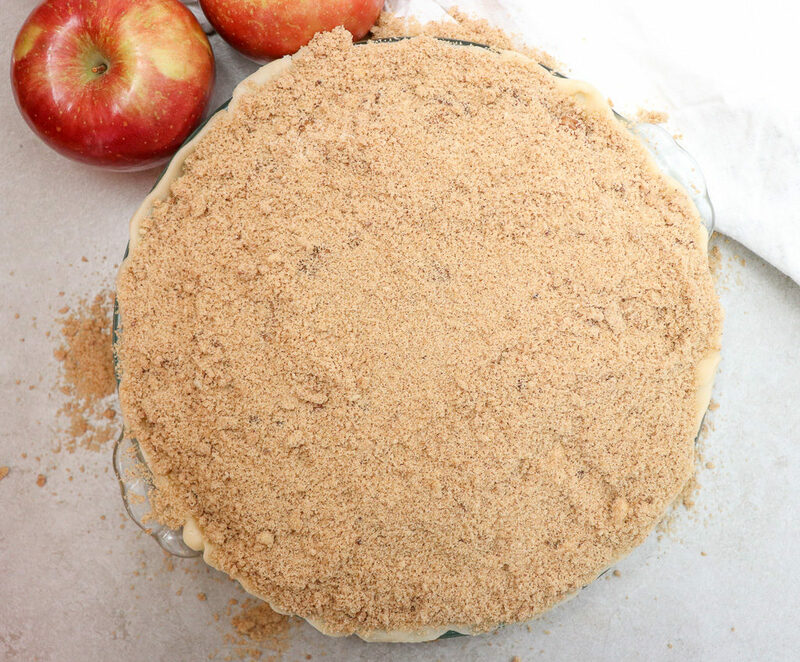 Evenly cover the top of the apple mixture with crumble topping. 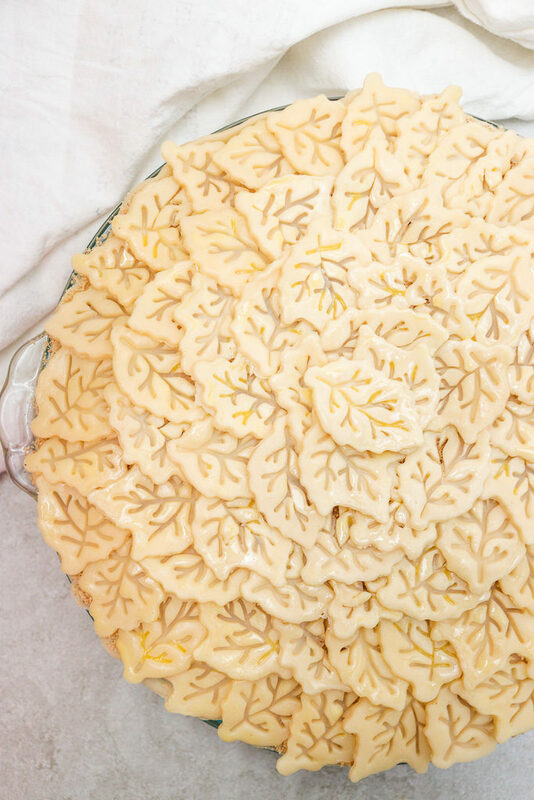 With the 3 remaining rolls of pie dough, cut out leaves with decorative fondant or cookie cutters. 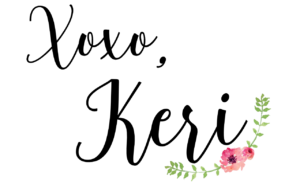 Lightly brush the leaves with the egg wash and place on top of crumble topping until desired look has been achieved. Place pie in oven on lowest rack and bake for 30 minutes. 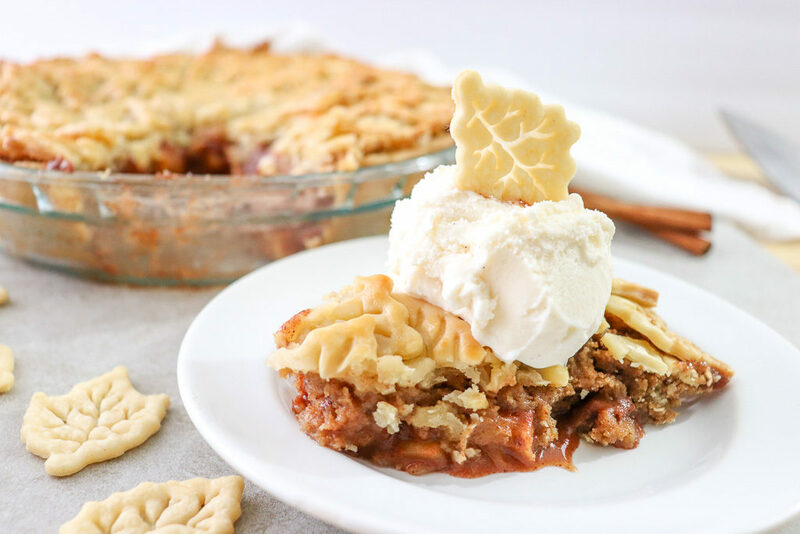 Cover edges of crust with foil so that only center of pie is showing and bake for an additional 30 minutes or until pie filling begins to bubble around edges and remaining crust is golden brown. Top with vanilla bean ice cream and enjoy! 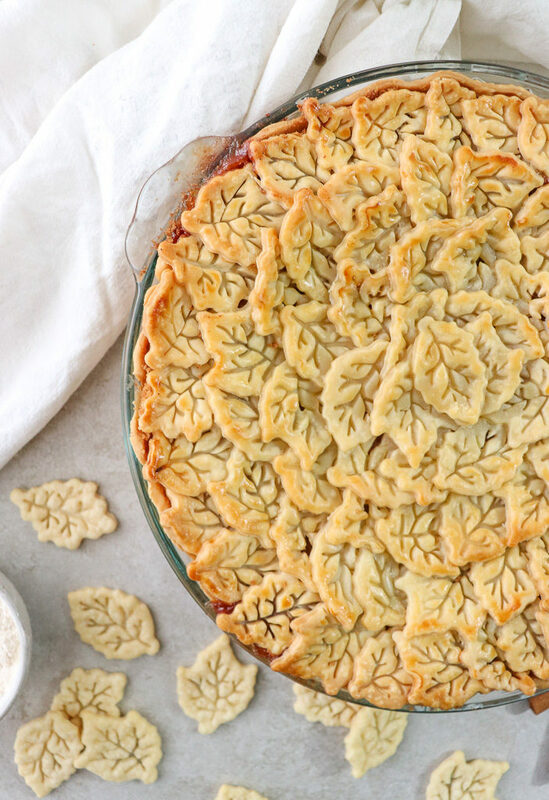 What is your favorite Thanksgiving Pie flavor?